Innovation is perhaps a slippery word. It often assumes something new which implies something never done before. Is there much that’s never been done before? Indeed, have we forgotten something that was done and at some point in the future will be ‘rediscovered’ and presented as innovative? Neumagen School near Trier, Germany; 200 AD (Roman School). Many in higher education, if not schools today can relate to this scene. For example, in Athens of 400BC at Aristotle’s Lyceum, excavated about 20 years ago, the master would tend to teach while walking with his students. 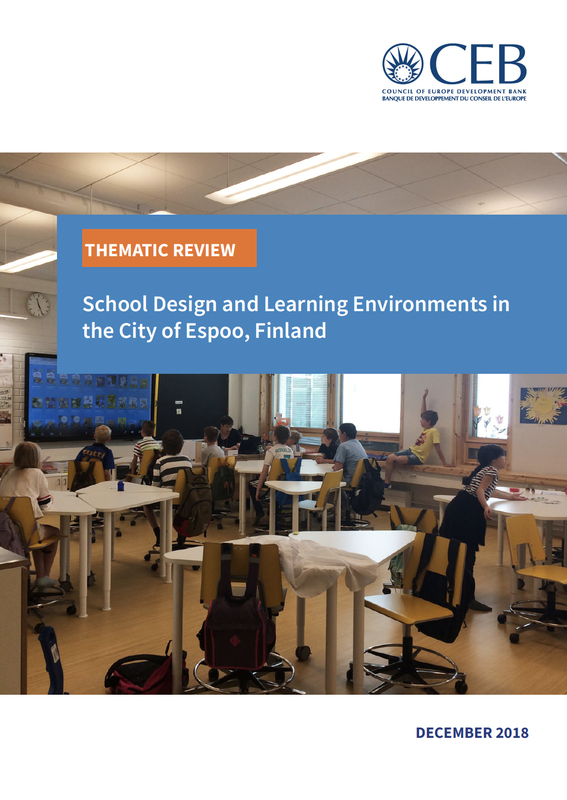 We tend to think that the design of the learning environments that we see today have been recent innovations – or at least started in the 18th century and 19th century along with the development of mass education. From the second century AD a Roman school (for those who could afford it) – for the Romans the three core subjects were science, maths and rhetoric – the small group seminar is recognisable today. A little more recent the University of Bologna in the 13th century. Now we’ve got guess what? Students lined up in rows facing the ‘master’. This was happening 600 years before the time most people thought that it was invented, although of course the model was well suited to the new demands of education during industrialisation. And of course here we are 800 years later! So, what do we really mean by innovation in learning environments? And to what purpose is the ‘innovation’ directed? The 1960s saw the development of prototype schools such as the School Construction Systems Development prototype schools. In some ways familiar to some of the developments that we see today but in a context that was much different. The main problem with these was that the teachers had not been trained to teach in such spaces, and as they were not involved in the design process didn’t feel much incentive to live up to the concept which might have been a nice idea, but failed in its reality. So, the focus on innovation shifted in the 1970s and 80s away from product (the design of the building as a product) to process (how the design is created) with calls for a permanent dialogue between education experts, policy-makers architects and other stakeholders. More recently the innovations that we often hear about have been product focused, but I think the truly innovative environments are those that recognise the interplay between space, and user through time. If there is any hope that today’s attempts to radically innovate school design will be more successful than their predecessors, it lies in different and significantly more inclusive design processes. Education systems around the world are having to address a range of issues with their current school building stock from increasing school age populations in some areas, a building stock that is often not longer fit for purpose – whether it is the fabric that has degraded or simply not enough space of the right type – as well as emerging technologies. 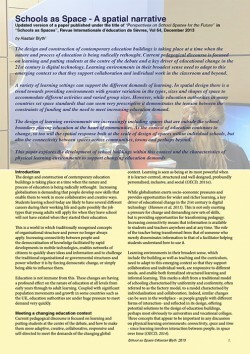 An important message from two reviews that I was involved in with the OECD, one on Portugal’s secondary school building modernisation programme and the other for Mexico indicated that for true modernisation more is needed than just improvements to the physical infrastructure… Teachers need to be engaged too. This debate has been played out in the context of the recognition that approaches to teaching and learning are changing, our understanding of how students learn has developed but so too what students need to learn to be effective contributors to society. Education systems are expected to help students develop ways of thinking – creativity, critical thinking, problem solving; ways of working – collaboration, teamwork, adaptability, leadership; and ways of living together – curiosity, empathy, self-esteem, resilience. To support this an effective learning environment should encourage social interaction – learning is a social process; be learner centred and inclusive; reflect patterns of learning and enable collaboration. Education is a system – so all of the parts are connected, something that is often forgotten or not even recognised; and the learning environment in the broader sense that includes the curriculum etc as well as the narrower sense of the physical learning environment impact on each other. However, the role that the physical environment plays in education from a passive back-drop in which the activities of teaching and learning takes place, to one that directly affects how learners learn is still much debated and a focus for exploration, and we shall hear more about some of these areas of investigation today. Whatever the case, the buildings and spaces in which education happens should be supportive of the activities take place in them, not the drivers. What those activities are and how and importantly when they are carried out are the drivers. To get a deep understanding of these processes means that education has to be involved in the conversation to drive the purpose of the design. How our children learn is fundamental to both their success and to a society’s success in the future. It is often said that children in school today are being taught for jobs that do not yet exist. But this suggests an expectation that students leaving school would go to specific well-defined jobs, just as they might have done when they left school at say during the beginning of the 20th Century. However, education and being at school is surely more than that. Five years ago the OECD started work on a set of survey instruments to help evaluate school buildings. The result is the OECD School User Survey which aims to give voice to students, teachers and schools on how their buildings work for them. In an OECD context it is an unusual survey because it is at school level rather than at national level which so many of the OECD surveys are. 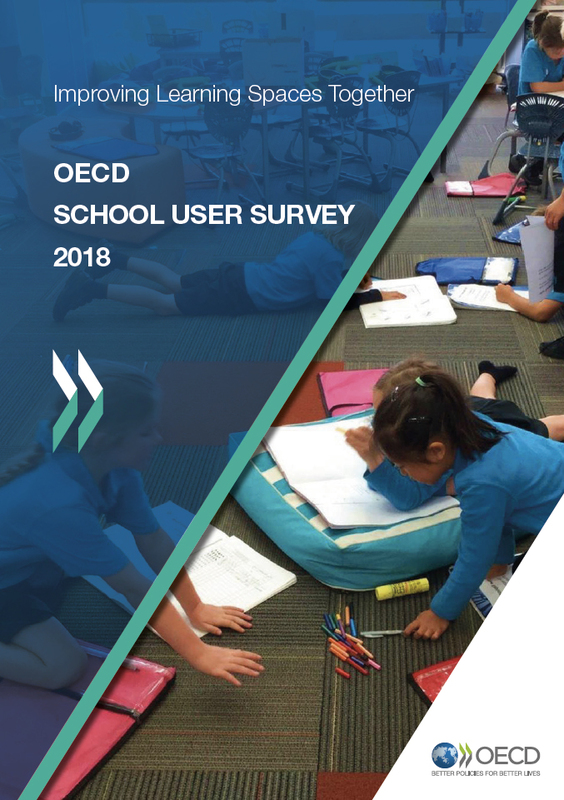 In developing the OECD School User Survey we saw it as being complementary to other surveys which gather performance data from school buildings such as on acoustics, lighting, air quality and temperature; and student performance data collected in various ways. Therefore this survey has been designed to be used alongside these existing approaches rather than provide yet another version of them. With or without “Brexit” the higher education scene globally is changing. The problem that we all face whether we live in the UK or elsewhere is that the impact of change is difficult to predict, yet the changes could have profound implications on how we use or develop higher education learning environments. A way to explore this is through the use of scenarios – a sort of hypothetical alternative reality. Can we describe what an intelligent modern learning environment should be like? By intelligent, I mean buildings that are designed to support teaching and learning and those who use them. I think that we can. I have been reflecting on how we encapsulate what a modern and intelligent learning environment should be like and thought I would share some broad brush criteria. To a large extent there are some linkages between them all, but it may be interesting to think about the relevance of each. They aren’t in a particular order and perhaps they could be thought of as different perspectives from which to challenge the space(s). How can teachers move from traditional to innovative learning environments? What do we really know about how teachers can use the wonderful innovative learning environments being created for schools around the world? Students are most likely to learn most about sustainability and environmental impact at school. This was certainly a finding from one of the OECD PISA studies a few years ago. The Zayed Future Energy Prize, in its Global High School category, provides an opportunity for schools around the world to continue to address this. I was asked the other day: How do I see the future design of school buildings? I thought hard about it because hasn’t all that has got to be said on the future of school design been said? After all we are surrounded by organisations trying to make predictions – 2030 and 2050 seem to be two favourite year markers. Waitakiri Primary School, Christchurch, New Zealand. Opened in 2014. Combined two schools after the Canterbury earthquakes in 2010 and 2011. the community was involved in the process of developing the new school. It seems to me that while design will continue to stimulate debate and prompt innovations perhaps a more interesting and deep rooted innovation lies in the process rather than product. Like many innovations, it isn’t new, it is a reapplication in a context that enables it to happen. 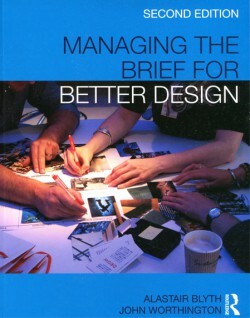 In “Managing the Brief” we also said that briefing is a process that starts before the project has been identified and continues after the project has been defined and the solution (generally a building of some sort) has been built. The point was, and I believe still is, that the built environment provides a supportive framework for learning and teaching. To do that there has to be a real understanding of the needs of the users (teachers, students, parents, the community interests) and the client which may be different from the school(s). To understand these needs demands a dialogue. 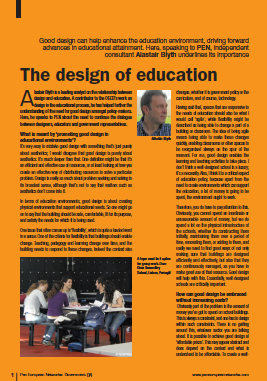 The process of design can be used to explore the questions as well as the solutions. This is what good designers do. Looking over the horizon I can see much more interest in this with education clients (for example, the Ministry of Education in New Zealand) now more often allowing dialogue to happen with teachers and students, and others before the discussion about the building. In many cases such discussions are a revelation to the organisations (schools or clients) about the way that they operate too. In other words, it is never just about the building. What you do, how you do it and when you do it. Then ask yourself, how do the spaces and technology you use support this now and how should it do so in the future? My good friend Julia Atkin, an education and learning consultant, makes a big thing of saying that the way that humans learn is the same as it has always been. This year I was invited to the 2016 LEGO Idea Conference and work with the International School of Billund, Denmark to present and discuss how the physical environment supports the education approach of the school. Currently the school takes students at primary age but will soon begin taking older students. It lives in a renovated secondary school building in Billund, and so has had to find ways of using an existing structure for its innovative approach to teaching – they avoid the more traditional approaches. For my part in this discussion I took one typical space to describe what happens there. The space, actually an old classroom box, is divided into different zones so that students can work in different ways. This is guided by the teachers who , over a period of time, will ensure that students experience different learning modes from focused individual, collaborative, show and tell. while they follow a curriculum they teach subjects using a variety of approaches so that students engage in different ways. This was reflected in the way they set up the learning space. It was fascinating to visit the school and talk with the teachers, parents and students about how it works. They have to work hard to convince parents about this approach to teaching and it shows the difficulties that face even those who are in what many would say is a fairly progressive education environment.